If you’re like me, when you get the opportunity to eat in an Asian restaurant, the first thing you order is egg rolls or spring rolls. We have one Asian restaurant that has a buffet, and I make sure to enjoy them first before I fill up on other food. I always wanted to make them at home and even bought the pop in the oven kind, but never got the same satisfying results that I find in restaurants until now. I found a few extra tips that made making egg rolls that are as crispy and delectable as those in a restaurant a breeze. 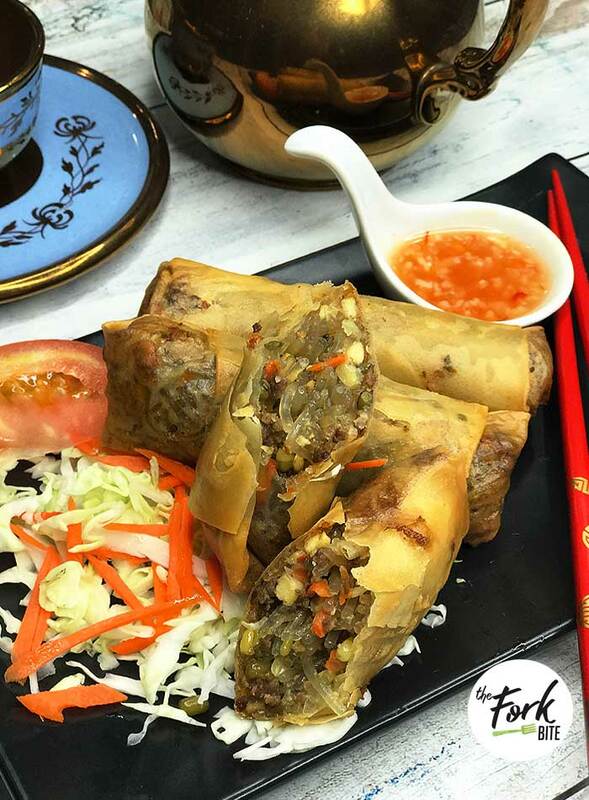 One of the key changes was avoiding the traditional rice paper wrappers and opting for some that are wheat based. The wheat based is easier to work with, brown better and have a crunchier texture longer than the rice wrappers do. It may not be as traditional, but it looks nicer and tastes better with the wheat, providing the restaurant look and crunch I couldn’t achieve previously. Another change that brought me closer to perfection was taking the wrappers out of the freezer to thaw a bit before I tried to use them. They don’t stick together or rip that way. This is not a traditional egg roll recipe because I modified it a bit to my liking and it really came out good. 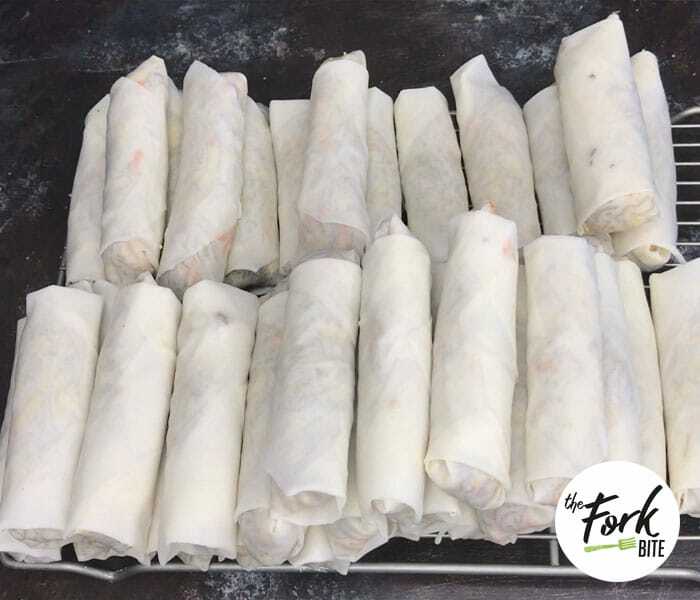 I’ve been cooking egg rolls for dozen time as a potluck and they are often a hit, that’s why I’m sharing this recipe with you. Our family loves mung bean that’s why I used them for this recipe besides, they work great as an extender. They are nutritious and yummy as well. I used to cook this dish using Jicama but it contains a lot of water, therefore you need to squeeze it out before adding to the mixture. For the jicama, take an extra step and salt it, then microwave it for about 20-25 seconds. You can then squeeze out the moisture in it, too. That was the key to getting a crisper egg roll. With those few changes, your egg rolls will be crispier than ever. Cook 2 packs of bean thread in boiling water for about 2-3 minutes. I'm using the thick bean thread like they used in Korean Jap-Chae. This depends on what kind of bean thread you will use. If you are going to use the regular vermicelli noodles, you can simply soak them in hot tap water for about 10-15 minutes. 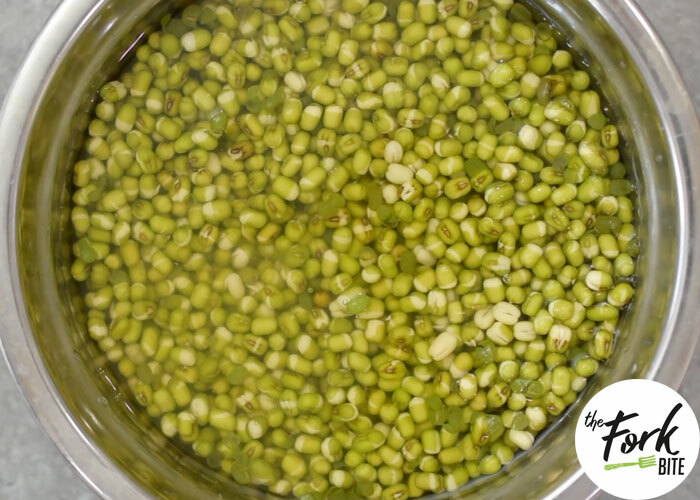 Soak the Mung Bean overnight to make it soft. Over medium heat, saute garlic and onions. Once the onions look transparent, add the ground beef or pork and stir to cook. Add the 1 tbsp sweet soy sauce (Kecap Manis), continue to stir fry to mix it with the ground beef. Add the julienned carrots, soaked mung beans and mix to cook. Now, you can put the bean thread, cutting them into quarter to make it easy to mix altogether. Add the remaining 1 tbsp sweet soy sauce ( Kecap Manis) and fish sauce according to your taste. You can add the brown sugar but this is optional. If you are using the sweet soy sauce, you don't need to add sugar. Add the roasted sesame oil. Cut the tofu into small squares and drop into the mix. Cook for another 1 minute or until the tofu is cooked and you're ready to roll. Preheat oil to 375 degrees F. Combine flour and water in a small bowl. 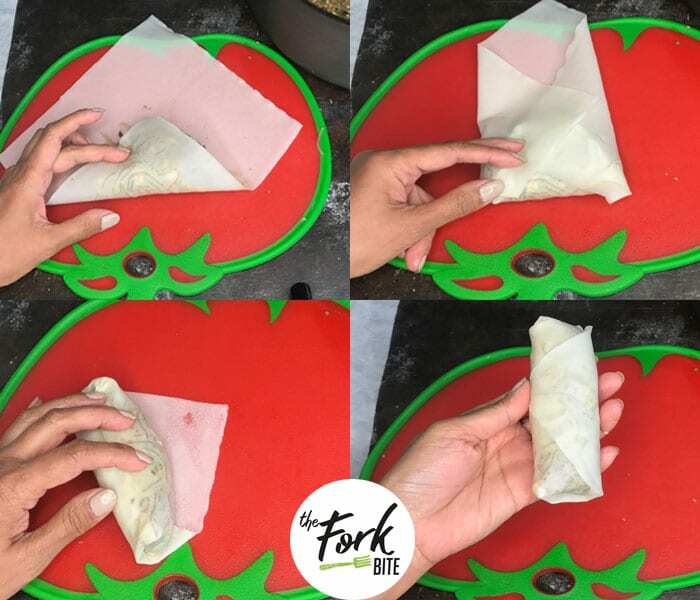 Lay out one egg roll wrapper with a corner pointed towards you. Place 2 tablespoons of the filings in the center. Use your finger to spread a little bit of the flour mixture along the edge. Fry egg rolls until golden brown and crispy turning occasionally. Serve with your favorite dipping sauce. I love these in restaurants too but I haven’t had a go at this type at home. I love how you’ve managed to get them nice and crisp! 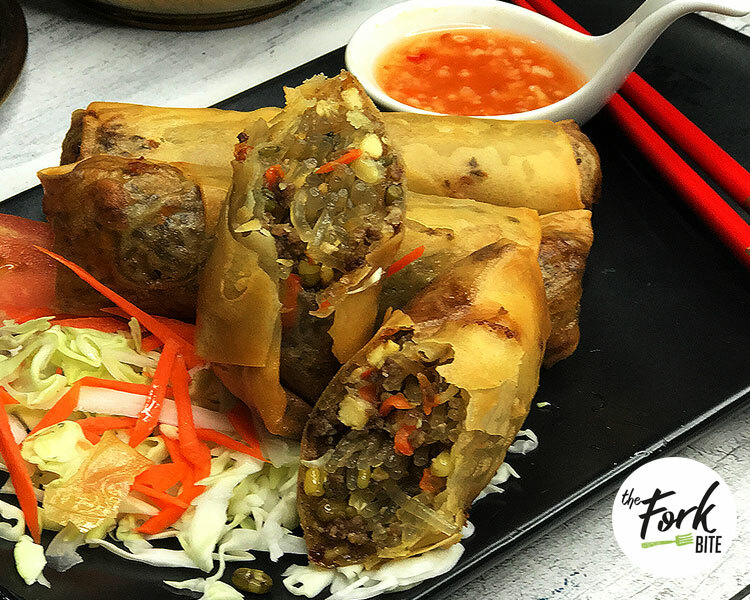 Yep, Spring rolls are always the first thing I order too! I’ve always been a bit intimidated by making my own, but these look wonderful! I’ll have to give them a try! I love the idea of making egg rolls at home so that I know I’m getting quality ingredients.